Why publish your article in JCTH? Journal of Clinical and Translational Hepatology [Print ISSN: 2225-0719; Online ISSN: 2310-8819] is owned by the Second Affiliated Hospital of Chongqing Medical University and published by XIA & HE Publishing Inc. 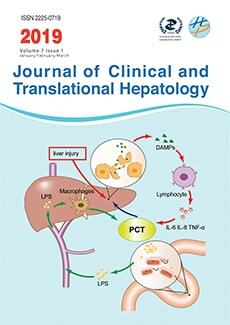 The Journal of Clinical and Translational Hepatology (JCTH) publishes high quality, peer reviewed studies in the clinical and basic human health sciences of liver diseases. JCTH has established high standards for publication of original research, which are characterized by a study’s novelty, quality, and ethical conduct in the scientific process as well as in the communication of the research findings. Each issue includes articles by leading authorities on topics in hepatology that are germane to the most current challenges in the field. Special features will include reports on the latest advances in drug development and technology that are relevant to liver diseases. Regular features of the JCTH also include editorials, correspondences and invited commentaries on rapidly progressing areas in hepatology. All articles published by the JCTH, both solicited and unsolicited, must pass our rigorous peer review process. The Journal of Clinical and Translational Hepatology (JCTH) is published as an open access journal. Electronic versions of each issue are made available on our publicly accessible website immediately upon publication (www.jcthnet.com ) and are perpetually available in our electronic archives (http://www.jcthnet.com/index.php?option=com_content&view=article&id=123&Itemid=852). The JCTH recognizes the distinct advantages of using an open access publication model to promote the timely dissemination of innovative and important research findings. Unrestricted free access to our publications is anticipated to foster intellectual discourse across geographic and disciplinary boundaries. To support the success of our open access approach, we ensure the integrity and high quality of research published in our journal by practicing a rigorous peer review process and by following strict guidelines for ethics in publication and in conduct of the scientific process. All Open access articles are published under CC BY-NC 4.0 license (http://creativecommons.org/licenses/by-nc/4.0/). If the article is not under the open access model, then the application of the Creative Commons license is at the discretion of the editor, in which case there is no processing fee for the article. A conflict of interest is any influence on an investigator or author that could sway his or her judgment or decisions concerning the investigator's or author's research, such as the valid reporting of data or its analysis or interpretation. Potential conflicts of interest include: professional or financial gain; personal or academic relationships or competition; religious, philosophical, or political beliefs; or any factor that prevents the independent preparation or publishing of a manuscript. The public perception of a conflict of interest is similarly as harmful as an actual conflict of interest. Authors are responsible for reporting any potential or actual conflict of interest upon first submission of a manuscript, with appropriate changes as appropriate in further revisions, if appropriate. 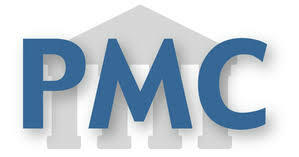 A conflict of interest statement should include all sources of financial support (for example, sponsors, and grant numbers) other support for the study (such as collecting, analyzing, or interpreting data), writing or revising the manuscript, or any factor that limited (or will limit in the future) the investigators' full access to the data and its analysis. Any conflict of interest (financial, professional, personal, or otherwise) must be disclosed to the journal's editorial office as soon as it is recognized or suspected. A major goal of the JCTH is to serve as a vehicle for the publication of high-quality manuscripts describing novel and important discoveries in the field of hepatology. All articles published in the JCTH have passed a stringent peer-review process, which ensures the selection of only those studies of the highest quality and with the most timely significance. Studies reported in the JCTH will focus on biomedical developments in the laboratory and clinic that have direct or clear implications for human liver health that may be realized in the near future. The JCTH aims to be a respectable and comprehensive source of up-to-date information in the field of hepatology, facilitating the translation of results from the bench to the bedside with the intent of impacting clinical practice to promote and protect liver health. The open access publishing policy employed by the JCTH allows researchers to freely read their and other’s work on the website through unrestricted access via the World Wide Web. The journal’s website homepage includes a section for “Current Issue Highlights”, which provides links to the most recent articles in the JCTH with the highest popularity among readers (based on access rates). In addition to online access, print issues of the JCTH are delivered to each of the authors who have contributed articles to that issue. All articles are available online as full-text HTML and PDF files, both of which can be downloaded for free from the website. The JCTH encourages the use of high quality and effectual visual aids to facilitate the transfer of information. The JCTH considers visual aids an essential tool for presenting particularly complex topics and novel concepts. The types of visual aids that frequently accompany JCTH articles are highlighted tables, high resolution images, and graphics, all carefully generated to protect the integrity of the data presented and avoid manipulation that constitutes scientific misconduct. The JCTH aims to provide a rapid but thorough peer review process for manuscripts under consideration for publication. Generally, decisions are made within one month of manuscript submission.